It a certain point in its evolution, any organisation whose beginnings reach deep into the past faces central and inevitable questions about its historical inheritance. This generally occurs after there has been a re­structuring. 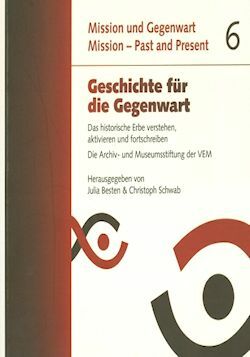 This book attempts to answer the questions posed here, about dealing openly and actively with a historical inheritance that is over 200 years old, in an exemplary way that is relevant in the present, using the work of the Archives and Museum Foundation of the UEM. On the basis of selected examples from the collec­tions, readers will get an initial idea of the character and qualitative significance of individual documents and artefacts from the written and picture archives, the library, and the ethnological museum of the foun­dation. Furthermore the area of the foundation’s work that goes far beyond the archiving, preservation, and administration of these holdings is introduced, presenting the quintessential work and services performed by the foundation. In addition, there are answers that show how to deal with the historical inheritance of the UEM, to care for it actively and responsibly and to develop it further. Last but not least, this is also an attempt to create meaningful added value for the present and for future project work with the collections, by dealing openly and objectively with the past. This added value should benefit not only the members of the parent organisation, but the largest possible number of diverse social groups in Germany and abroad as well.